It's hard enough to run a marathon in this hot weather, but imagine doing it in full firefighter gear. 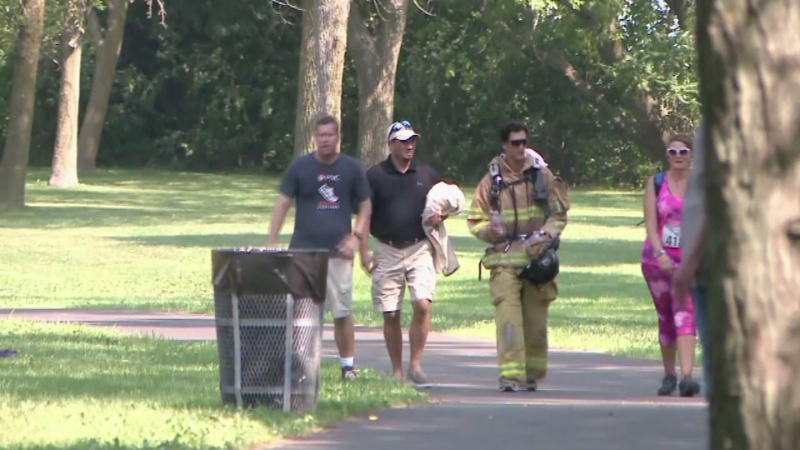 MILWAUKEE (WLS) -- It's hard enough to run a marathon in this hot weather, but imagine doing it in full firefighter gear. That's what Kyle Grover did running the Lake Michigan Trail Marathon in Kenosha County over the weekend. He strapped on the 70 pounds of equipment. He says he thought about running only a half-marathon, but then decided to go for the full race. It's all to raise money for an organization that provides temporary housing to young or expectant mothers.